So there I was sitting on a train to London on my way to a seminar on what was originally thought to be “Dealing with difficult situations in the outdoors”. It transpired that the seminar was actually about, and I paraphrase a tad, “dealing with difficult volunteers” The participants were all volunteers or managers of volunteers in charities of the ilk of the NT. Anyway the essence of the seminar appeared to me to be about managing volunteers as if they were employees ie facing up to the possibility (as a last resort) of running a full disciplinary that could result in the “sack” – which as an outcome I don’t have a problem with. So there I am sitting on a train back from London post seminar and I get to thinking what is it that makes us volunteer; what is it that makes us a good volunteer; what is it that as a volunteer I get out of it; are volunteers different to manage than employees and should they be managed differently? Wikipedia says: Volunteering is generally considered an altruistic activity and is intended to promote goodness or improve human quality of life. In return, this activity can produce a feeling of self-worth and respect. There is no financial gain involved for the individual. Volunteering is also renowned for skill development, socialization, and fun. It is also intended to make contacts for possible employment. So why do I volunteer? 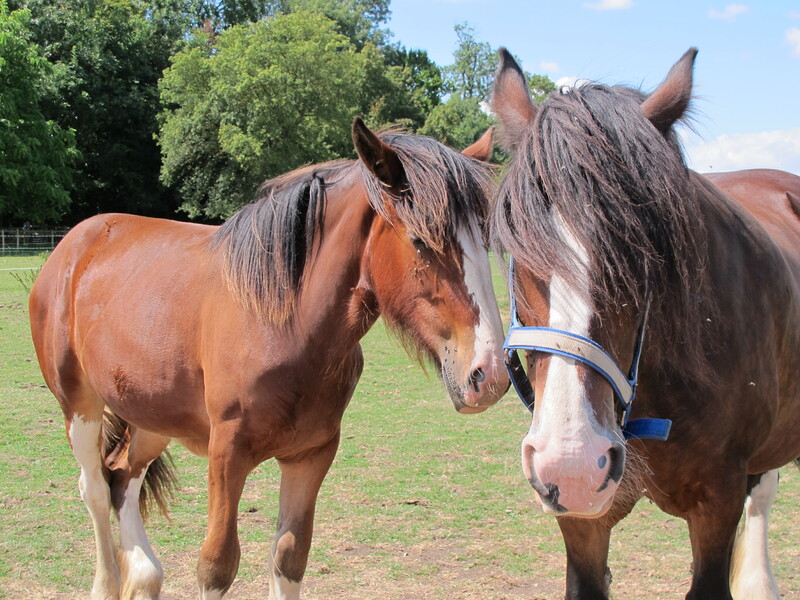 I grew up on a rough council estate in London in the late 50’s early 60’s and despite the passing of the years I still get a buzz from the difference of being on the farm.I am completely animalphylic and can’t get enough time being with the Shire Horses. Those who know me at Wimpole will testify to how shy I am (or not). A major plus in my day on the farm is talking to the customers (some prefer visitors!) mainly about the horses but also about the farm and the rest of the estate. The people who make the trip to visit the estate are its lifeblood and it could be argued the very reason for its being. A bit management speaky this but it is a win win: I go home happy having done something useful and the visitor goes home happy having had a good day and maybe having learnt a little. I shall ,I think, ponder this more.